When the world of Armageddon is attacked by orks, the Black Templars Space Marine Chapter are amongst those sent to liberate it. Chaplain Grimaldus and a band of Black Templars are charged with the defence of Hive Helsreach from the xenos invaders in one of the many battle zones. But as the orks' numbers grow and the Space Marines' numbers dwindle, Grimaldus faces a desperate last stand in an Imperial temple. 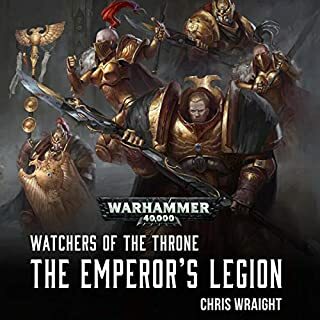 Determined to sell their lives dearly, will the Black Templars hold on long enough to be reinforced, or will their sacrifice ultimately be in vain? This author can do no wrong. He portrays space marines so grimly but with excellence. I started this book hopeful and excited for a story of a single soldier during the downfall of a city and left with that, and so much more. 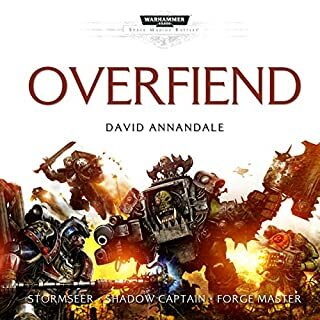 It is the best 40K book I have ever "read" and I'm still thinking on its final words. Brilliantly narrated and a thrilling if depressing saga if war, triumph, nihilism and tragedy n the 41st Millenium. Exceptional book with great narration. Easily one of my top 10 . . .. . 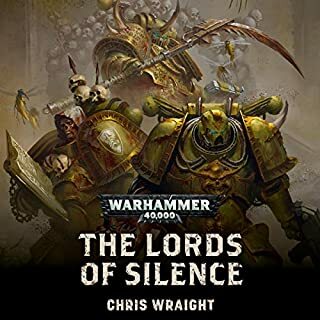 This book was suggested to me by a friend when I asked which Audible Warhammer book I should begin with. It did not disappoint. 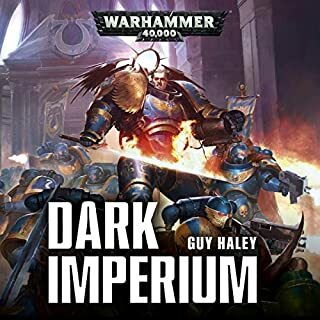 I was vaguely familiar with Warhammer 40k before beginning this story (I had primarily seen pictures of Space Marines etc.) and I was quickly drawn into the Universe with little trouble imagining the different characters, species, and machinery. 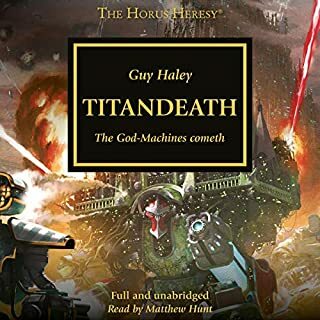 The backdrop of this Universe is one of War on such an immense scale that it is difficult to understand, however this story takes the big picture and slowly focuses in from a planetary system scale to a single planet, to a continent on said planet and finally focusing on the defense of a single city. In doing that, the reader receives the feeling of both the grand scale of a star systems at war all the way down to individuals in hand to hand combat trying to survive and claim victory over seemingly insurmountable odds. While listening, I as the reader was unsure as to which characters were going to survive and indeed if ANY would survive. The character development was nuanced but well done and with enough humor to release the tension when needed. The voice acting was well done and added to the war type atmosphere that was ever present throughout the story. 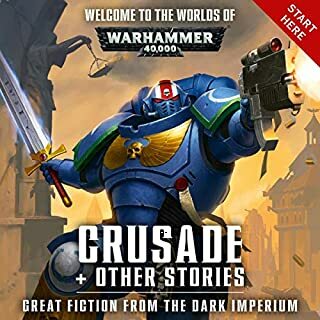 All being said this was a great introduction to Warhammer 40k and I plan on listening to more in the future. 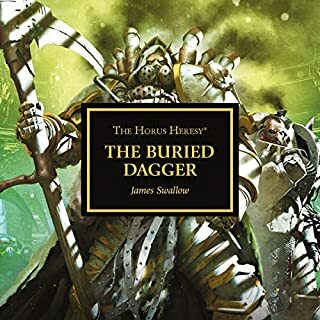 This book is one of the greatest 40k books in the series, I highly recommend this book to any fan of Warhammer 40k. Bowden's writing brought to life in only the way Keeble can. Road by bloody road the forces of Hellsreach are beaten back. Yet they stand. Until the end. 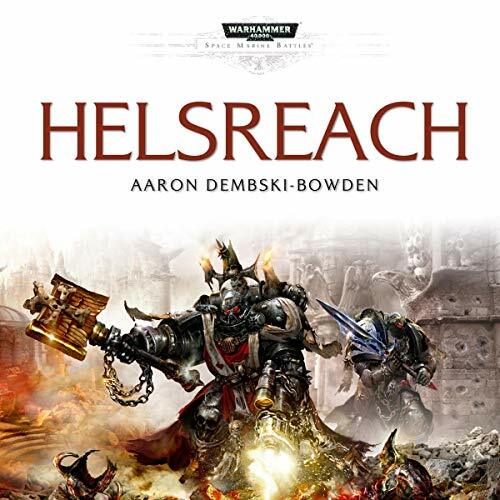 If you could sum up Helsreach: Warhammer 40,000 in three words, what would they be? 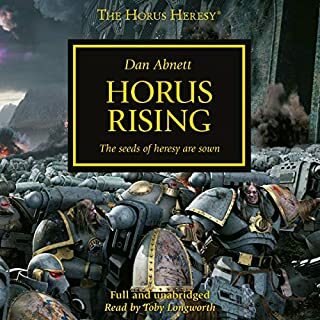 What other book might you compare Helsreach: Warhammer 40,000 to and why? Betrayer. Because it's the same author and also a great story. I've listened to a lot of Jonathan Keeble stories and this is one of his best. Black Templars at their finest. A story of sacrifice and courage in a universe where there is only war. 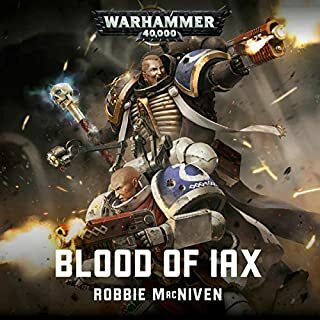 Black Templar Space Marine fans will enjoy this read - well worth the time and coin. Really loved this. 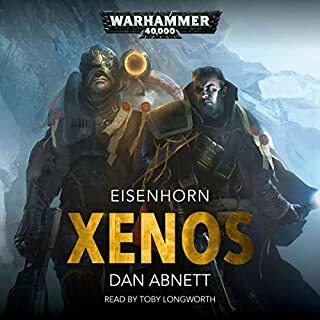 Was my first Audiobook and I have to say I am VERY happy with this one. The story is epic, and I was VERY engaged from beginning to end. The trials faced by not only Humanity, but the Templar themselves was very interesting to listen to. The Narrator for this book is FANTASTIC! Really nails it. A true 40k! 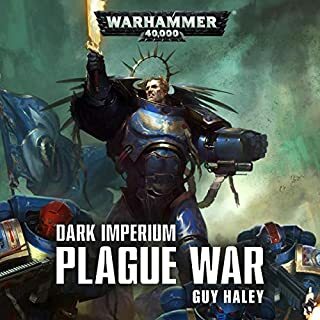 I recommend it to all 40k fans. 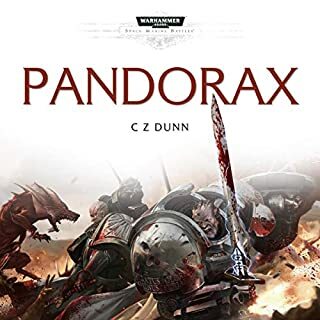 probably one of the best 40k stories out there, unlike many others in the wh40k lore there is actual character development, it keeps the very real feeling of war prominent throughout the book, and the ending is actually worth something. worth the read. I loved the book immensely. I felt Grimaldus and his brothers love for each other, even though they are not entirety human at least thats what they say. I felt they were human in the end, especially when they start to pass. 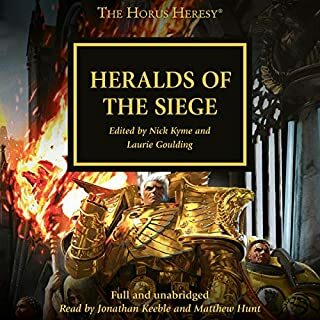 I bought this Audible title when it was the Daily Deal, and I'm glad I did. 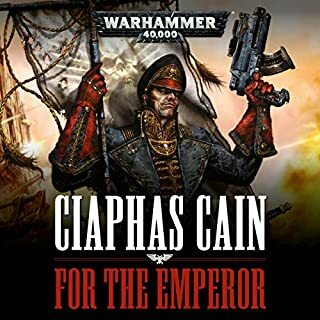 I was apprehensive buying it as I've not read any Warhammer books before had know knowledge of the universe and themes across the series. There were a lot of terms and references used that I didn't know, but they didn't make the book any less enjoyable. I enjoyed the story a lot more than I was expecting, and it certainly doesn't follow a typical or predictable plot line you'd expect with a small outnumbered army defending a city against a huge invading army. The performance from Jonathan Keeble is superb- I would probably say one of the best I've heard so far. He is perfectly suited to the story that he reads and does a fantastic job of it. 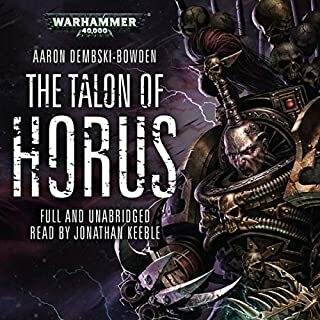 Aaron Dembski-Bowden is an amazing author. His writing carries the perfect balance of action, suspense, character building and humour. 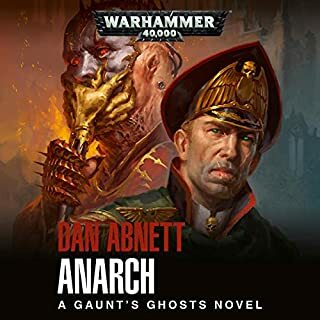 The characters feel real, and are brought to life brilliantly by Jonathan Keeble, who performs each of them as the unique individuals they are. I would recommend this book to anyone and everyone. loved it! Narrator was excellent showing a diverse range of characters. looking forward to the next space marine battles! 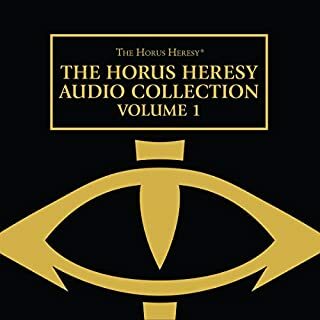 Truely an epic listening experience. The narration brings to life what is an incredible story. The narrator really couldn't have been better. Made the book very enjoyable. Highly recommended and I'll be looking to see what else he has narrated. Whilst the writing isn't flawless the story is full of great characters and an excellent plot. The voice acting is brilliant pulling of many different voices bringing out the personality of the characters. Gritty from start to Finish. Jonathan Keeble brought this to life with every character he portrayed, I fully and totally enjoyed the storyline from start to finish. You get to understand what it means to keep your Main Supply Route open and the consequences of it being closed off, completely. You can't help feel for the military and the Templars and what they try to achieve and for the populace for what they must all endure. 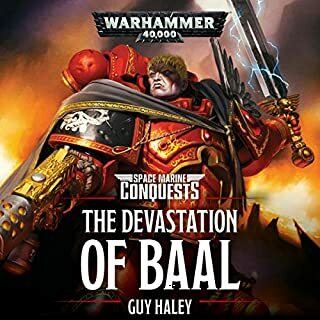 A cracking good read, audio book I've enjoyed every bolt fired chapter.